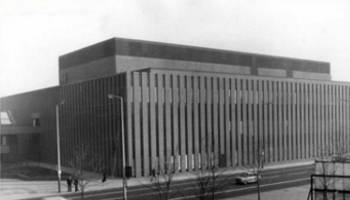 The School of Computer Science at the University of Manchester is one of the oldest in the UK. 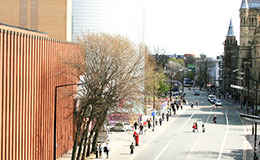 The University of Manchester has made a considerable contribution to the development of computing. 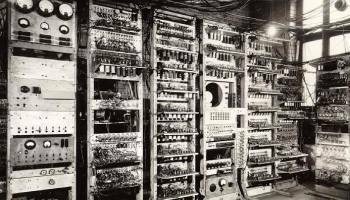 This includes many firsts including the first stored program computer, the first floating point machine, the first transistor computer and the first computer to use virtual memory. During 2014 we celebrated our 50th anniversary as a School. Take a look at the page we put together to showcase some of the interesting facts and ﬁgures that capture the essence of our School. This timeline explores how Manchester has continuously helped shape the development of computer science from 1947 to the present day. You can navigate the timeline using the black left and right arrows next to the text and photos, using the arrow keys on your keyboard, swiping on a phone or tablet, or by clicking and dragging in the grey area at the bottom of the timeline. The timeline is presented within an iFrame which your browser does not seem to support. Looking for more information on our history? For more detail on the pioneering early work carried out by the school, try exploring one of the sites below. During 2014 we celebrated our 50th anniversary as a School. Ciprian Tomoiaga, an undergraduate computer science student, tells us why Turing is his University of Manchester heritage hero. 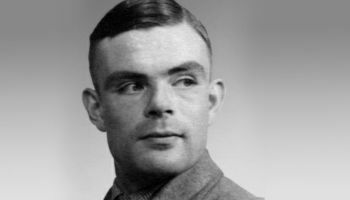 June 23, 2012 marked the centenary of the birth of Alan Turing. 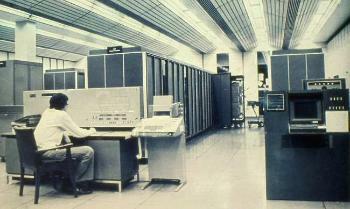 Celebrating the 50th anniversary of Baby and Mark 1, the first modern computers. Commemorating the 60th anniversary of the Baby and Mark 1 machines. 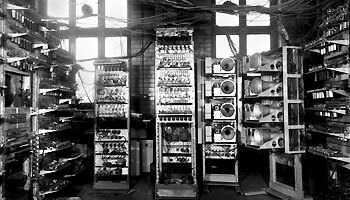 Remembering the most powerful computer of its time, developed at Manchester. Related to Digital 60; a second site giving more information about the Baby/Mark 1 in comparison to mobile phones from the mid-200s. 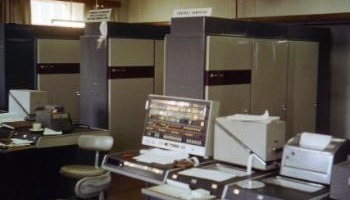 An essay by Roland Ibbett, previously Reader in the Department of Computer Science, on the development of MU5, the fifth computer system to be designed and built at the University of Manchester. Can you contribute to this page? Do you have more information on the history of the School? Please contact Prof Jim Miles, keeper of the history of the School of Computer Science.